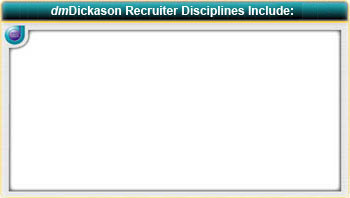 dmDickason - What is Executive Recruiting? WARNING: Are you prepared for the coming labor shortage? Baby Boomers are retiring, fewer skilled workers are available and Generation Xers are demanding work / life balance. If your organization is like most, you are NOT ready for the “brain drain” that is headed our way. In fact, researchers predict that one out of every 10 jobs will soon go unfilled! You Need dmDickason Professional Search. dmDickason Professional Search has been serving America’s finest companies and job candidates for over 40 years. Our success in presenting just the right candidate for the job has not only attracted the best job applicants in the area, but has also helped us build and serve a local and national client company list of many world-recognized Fortune 500 Corporations. Many have been our exclusive clients for over 30 years! What is Executive Search? Simply put, executive search is a means of finding the high-caliber leaders in local, regional and international markets. 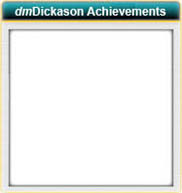 dmDickason Professional Search acts on behalf of the client company seeking the right professional for a specific role, or, a team of managers to pioneer entry into a new market. The need for leaders with the right mix of skills, experience and cultural compatibility is critical in today’s rapidly changing global economy. The value of Executive Search. To help them build the effective leadership they need, many companies are now tuning to executive search firms. dmDickason Professional Search brings value to our clients because our search consultants can bring your company specialty knowledge of the talent market within your industry, as well as relevant industry contacts to identify suitable candidates for each assignment. For companies looking for high-caliber leadership in our increasingly tight labor market, professional search may be the only way to go. Proven recruiting process. The substantial work that our recruiters do on behalf of our clients is done entirely at our expense. Detailed searches almost always involve many time consuming and expensive recruiting efforts to locate those special candidates that generally do not surface from traditional newspaper classified ads, internet, word-of-mouth or in-house recruiting efforts. Our national reach, in addition to proven candidate selection techniques, well-trained recruiters, and over 40 years of recruiting and staffing experience in our area, almost ensures that your specific requirements will be promptly fulfilled to your specifications. This is the dmDickason difference! Employment Agency or Executive Search. An employment agency works on behalf of the job applicant. It looks for jobs for people. Those seeking employment come to the agency to see what positions companies may have open. The pool of applicants from an agency, however, is generally limited to only those job applicants that are seeking new employment. Employment agencies often advertise in classifieds, announcing a specific opening and the required qualifications. Unfortunately, again, the pool of applicants is limited only to those seeking new employment. The agency receives a fee from the applicant. Competent / High-caliber Candidates. dmDickason, however, is a contingency professional search firm, where the executive recruiter works on behalf of the client company. Typically, our candidates are not actively seeking a new position – many are recruited from your biggest competitor. It is our role to identify and interview candidates who may fit the culture and needs of your company, then present a “short list” of those candidates to our client. No fit – No fee! The candidates we send to you have been hand selected, screened, qualified and personally interviewed specifically for the position you asked us to fill. We start with a detailed understanding of what our client’s want, and conclude with a new employee’s smooth transition into your place of business. Until that happens, your company is not charged a dime. Our fee is earned only if a candidate is hired by your company; and, you make that decision, not us! Employment is our only business. For over 40 years, we have been dealing in the marketplace everyday and are extremely familiar with identifying, evaluating and presenting the very best candidates for your staffing needs. Using dmDickason Executive Search ensures your company will benefit from confidentiality, specialist knowledge of your industry and a commitment to finding the best person for the job. No surprises. We expect our client employers to remain fully involved so nothing is left to chance. Following a successful placement of a qualified candidate with your company, our recruiters remain in touch to solidify the new employee / employer relationship. And, if the employment of the person hired by your company ends within 30 days after your new employee’s start date, replacement candidates can be provided at no additional cost. We aim to make placements permanent, a nearly all of them are! So, if you are looking for great people, or maybe a career move yourself, call us today at (915) 532-1981.